Pure Vanilla provides an in-depth guide to vanilla including its species, origins, history and tasting notes. The author, Shauna Sever, is an American baking blogger and former investigative journalist and TV presenter. There are 85 recipes in the book, split into six chapters (breakfasts, cakes and pies, cookies and bars, candies and confections, custards and creams, drinks), across 160 pages. The Totonac Indians were credited as the first to discover vanilla. They then introduced their techniques for working with vanilla to their conquerors the Aztecs. Vanilla was produced exclusively in Mexico until 1836 when the secrets of its pollination was discovered. Before then, though vanilla plants grew in other parts of the world where it was transplanted, pods were never produced. Edmond Albius, the twelve-year-old son of a slave on the island of Réunion is credited with discovering the method of hand pollination which is still used in vanilla production today. When the vanilla plant flowers, the farmers have just 12 hours to hand pollinate each bloom to produce the seed pods. After hand harvesting, the vanilla pods must be killed (to stop their development), sweated (stored in a high humidity-environment), dried and then conditioned (to allow flavours and aromas to develop). Where vanilla production is particularly competitive, such as in Madagascar, the pods might be branded or “tattooed” at the green-pod stage to identify the producer and secure ownership. 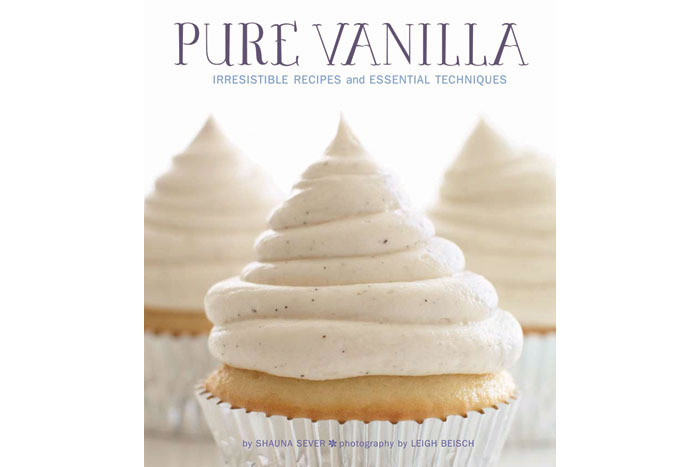 Today, vanilla is the most widely used flavouring and ingredient in the world. It’s allegedly even more popular than chocolate. Americans are responsible for consuming roughly half of all vanilla produced globally. Most of it is in ice cream and soft drinks but it’s also used to scent products and perfumes. Extracts, pastes, powders and ground beans are best stored in dark-coloured, tightly capped jars. Whole beans should be tightly wrapped in plastic wrap and then placed in a zip-top bag to retain moisture. Whole vanilla beans will keep for up to a year while extracts will keep for years. To revive dried vanilla pods, simply soak briefly in hot water.